The German invasion of Poland in September of 1939 caused countless repercussions that spanned the duration of World War II and the years that followed. It was Adolf Hitler’s first attempt at overtaking a nearby nation – and it proved successful, solidifying the power of the Third Reich in Europe while the rest of the world pondered what was to follow. 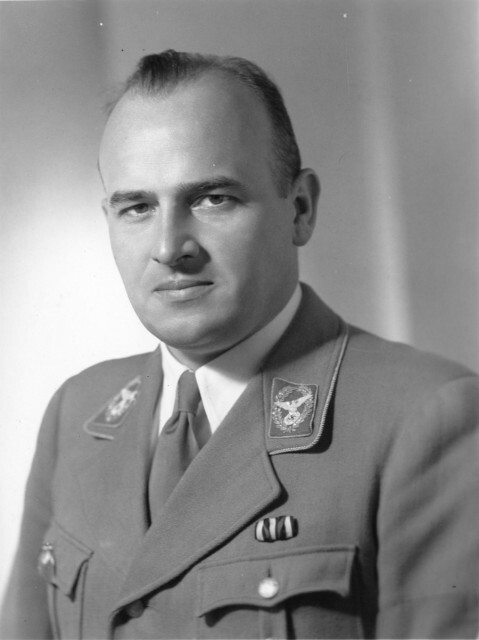 Though the taking of Poland rendered Hitler, and his control of Germany, a place within history, it also increased the position and power of another member of the Nazi party – that of Hans Frank, the lawyer who earned a name for himself as a German lawyer and as Hitler’s personal attorney. 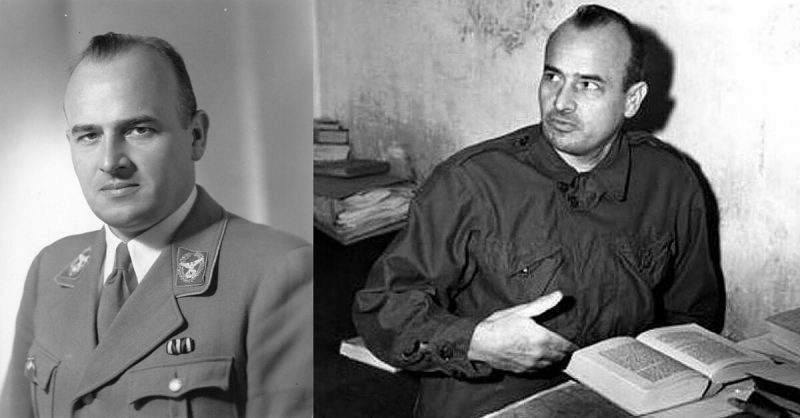 Hans Frank was much more powerful, and much more influential, than the average member of Hitler’s entourage. During his life, and throughout his service under Hitler, he became both a recognizable figure within the Nazi regime and a wanted murderer as the man responsible for killing countless Polish citizens. Hans Frank did not begin his life as a murderer; rather, he lived simply as the middle child in a family of three children, born to Karl and Magdalena Frank in Karlsruhe, Germany. At the age of 17, Frank enlisted to aid Germany’s army during World War I, seeing no front line combat during his years with the military. When the war ended, he stayed in touch with his army comrades, joining the Thule volkisch society. Along with his fellow Thule members, Frank became a member of the German Workers’ Party when it first appeared in 1919 – the earliest origins of what would quickly evolve into the Nazi Party. When the Nazi Party became official, Frank joined its ranks in September of 1923. Within just two months of joining, he participated in a failed coup; when unsuccessful, Frank fled to Austria for safety. As Adolf Hitler continued his rise to power throughout the 1920s in Germany, Hans Frank was hard at work as well. He earned his law degree by the year 1926, passing the state examination that year, and soon after became Hitler’s personal attorney. 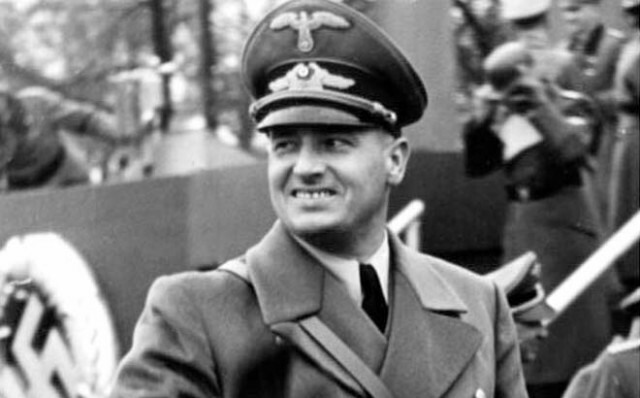 With the Nazi Party, and its dictator, quickly gaining ground in Germany, Frank handled all of the regime’s legal issues and counsel; he represented more than 2,400 Nazi legal cases. By the fall of 1930, Frank was serving as the Nazi defense lawyer in the court-martial hearing of three Reichswehr officers charged by the German government for participating in the Nazi party. This incredibly sensational trial garnered great media attention, as Hitler himself took the stand to testify against the nation’s leadership. Thanks to this trial and Frank’s work on building a strong, sensational defense, the military, and the German people were left sympathizing with the Nazi movement rather than their own government leadership. This proved a shining moment for Hans Frank – after the trial, he was elected to membership within the Reichstag in 1930 and ascended to the position of Minister of Justice in Bavaria by 1933. That same year, Frank achieved even greater positions within the Nazi regime as head of the National Socialist Jurists Association and President of the Academy of German Law. While serving in these prestigious and prominent positions, Frank made clear his position on murder: he declared that any killings beyond those handed down from the judicial system would only serve to weaken the German legal system’s power; he even spoke at the Dachau concentration camp, and various other locations, espousing the damage unnecessary murders would cause for legal officials. Despite this, Frank was not one to forgo the Nazi party agenda or its beliefs. As he himself remarked, Nazi judges existed to “…safeguard the concrete order of the racial community, to eliminate dangerous elements, to prosecute all acts harmful to the community, and to arbitrate in disagreements between members of the community. The National Socialist ideology, … is the basis for interpreting legal sources.” Though he claimed to disagree to an extent with the Nazi agenda, his primary purpose was to carry out the Party’s wishes, no matter how he saw fit. Frank continued to rise through the ranks of Hitler’s regime, obtaining the position of Reich Minster without Portfolio in 1934. By the fall of 1939, Frank earned the role of Chief of Administration to Gerd von Rundstedt, a German military official who oversaw the regime’s rule in occupied Poland. He lasted just one month in this role; in October of that same year, upon the completion of Hitler’s Polish invasion, Frank was promoted to Governor-General of the newly acquired Polish territories. In this regime role, he controlled the General Government, or the areas of Poland that weren’t immediately absorbed into Germany itself. With this promotion and increase in rank, Frank suddenly wielded power over new German territories. As long as he adhered to his Fuhrer’s desires, and Nazi Party principles, Frank could do as he pleased. He put his legal prowess to use, forcing Jewish citizens of his Polish lands into ghettos – primarily the infamous Warsaw ghetto – and forced labor camps. He was a powerful man in the segregation movement, responsible for tearing Jewish citizens from their homes and lives, and exiling them into death camps. Perhaps the most damning statement in Frank’s career as a Nazi official came in December of 1941, when he gave a speech to his senior officials in the General Government – this speech explicitly explained how Hitler wished to annihilate all Jewish people, spelling out the Fuhrer’s orders to have all Jewish individuals killed without pity, and without concern. In the months and years that followed, Frank oversaw four of the six death camps located in the General Government areas of Poland: Bełżec, Treblinka, Majdanek, and Sobibór. Though during later years and investigations Frank claimed that he had nothing to do with any extermination of the Jewish people, he was ultimately found guilty of aiding the Nazi cause after the war due to his participation in this effort. Despite his work furthering the Nazi agenda in Poland’s General Government locales, Frank did not maintain Hitler’s favor for the entirety of his career. In fact, by 1942, Frank was no longer welcome in any Nazi position of authority; by this time, he had angered Hitler by giving speeches throughout German cities that opposed the head of the SS, and the police force in the General Government. He lost all his titles, but Hitler would not allow him to resign from his role within the regime; as the end of the war loomed in 1945, Frank chose to attempt to run from the approaching Soviet army in January of that year. The infamous Nazi wasn’t on the run for long – just four months after his attempt to flee Europe; Frank was captured by American troops in southern Bavaria. Like so many other Nazi supporters and vicious leaders, he was made to walk a gauntlet of American soldiers, all of whom beat him. Frank crumbled under this pressure, unable to survive the thought of even harsher treatment, and attempted suicide. When that attempt failed, he tried yet again just 48 hours later, ineffectively cutting his left wrist. Frank could not escape all that he deserved as the notorious “Butcher of Poland” – he was indicted for his war crimes and stood trial before the International Military Tribunal at Nuremberg in November of 1945. Frank’s trial lasted 11 months, during which time he converted to Catholicism. Perhaps more than any other guilt, or any other force, his newfound religion is what led Frank to surrender his personal diaries to the Allied forces – and what clinched his guilt before Nuremberg juries. Remorseful and showing sorrow for his committed crimes, Frank was one of only two Nazi officials who showed any guilt for all that he did as a Hitler supporter. His lengthy trial came to an end on October 1, 1946, when Frank was declared guilty and sentenced to death for his crimes against humanity. Just over two weeks later, on October 16, Frank was executed by hanging. Today, Frank is known for murdering countless Polish citizens – countless Jewish individuals, all of whom were butchered merely because this Nazi official wished to follow his German dictator. A lawyer who advised one of history’s greatest evils, Frank left behind a history stained with evil himself. Though the military tribunal at Nuremberg deemed Hans Frank guilty of his crimes, and history has proved his deeds too evil, too horrific to call him anything other than the “Butcher of Poland,” there is perhaps no testimony more apt than that of Frank’s own son, Niklas. Many decades after his father’s death, Niklas published a book about Hans’ life. The son of the Nazi great called his father “a slime-hole of a Hitler fanatic,” leaving the public without a doubt as to who, exactly, Hans Frank should be remembered as.